You need not to sing up for the Google Maps API Key in Phoca Gallery. Go to Components » Phoca Gallery » Categories » [Edit | New] button » Fill in Geotagging Longitude and Geotatagging Latitude. If you click on [Coordinates] button, the Google Map will be displayed. Click on the place you want and the coordinates (longitude and latitude) will be automatically filled. You can change the Geotagging Zoom (0 - 17). The zoom can be changed within the map too. Set Geotagging title (title which will be displayed of the selected place, in the GeoTag marker). Categories - Geotagging Longitude - you can set the coordinates for the map. If not, the coordinates will be taken from the first category. 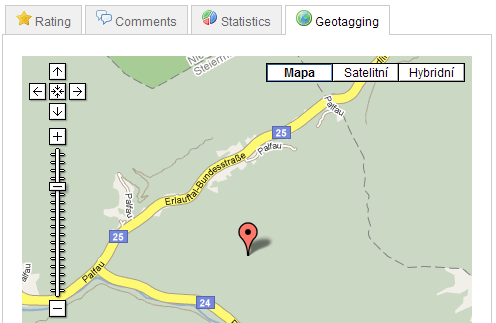 Categories - Geotagging Latitude - you can set the coordinates for the map. If not, the coordinates will be taken from the first category. 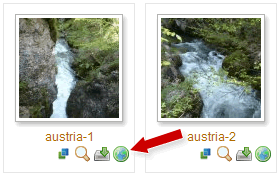 Categories - Geotagging Zoom - you can set the zoom for the map. If not, the coordinates will be taken from the first category. 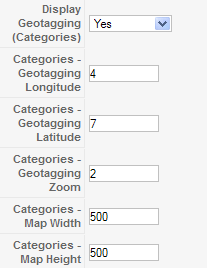 Categories - Geotagging Width - you can set the width of the map. Categories - Geotagging Height - you can set the height of the map. See Demo for a live working example of each option.